Do you know there are good online content writing opportunities available on the internet. All of them are free to join. Most of them pay through Paypal. Paypal is free to join and use as well. You can receive payment into your Paypal account and if you have linked your bank account to Paypal, the money in USD will be converted to INR according to prevalent exchange rates and paid into your savings bank account. If you are a good writer and can come up with original, interesting content on a variety of topics, on a consistent basis, you could be generating income in hundreds of dollars every month. 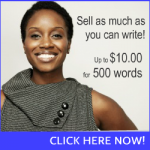 Being paid in USD for your writing skills, you are effectively exporting your writing skills to bring in USD. I just checked the USD-INR rates to learn 1 USD = 62.32 INR. A 500 word article getting sold for USD 10 can fetch you RS 623. Not bad really. In India writers are offered Rs 15 per 100 words. So, a 500 word article may fetch you Rs 75. or Rs 50. I used to write for Constant-Content. The experience was great. I wrote a few articles there, which were accepted and later bought by their clients. The revenue sharing was 65:35. So for an article which was sold for 40$ I got paid 26 $. But the problem with C-C is their tough editorial team which is very quick to suspend writers who do not meet their exacting writing standards. So when I was writing for C-C, I was concentrating more on grammar and syntax errors, than on content. So, I gradually stopped writing for them. Then I changed my decision and wrote again for C-C and my article was rejected for some misplaced commas and wordiness. I was relieved that I was not suspended. I stopped writing for them.Very recently I signed in to discover they had suspended my account without even a notification. Now I have stumbled upon another site called WLE, which encourages you to write. They assess your work and grade it 5,4,3 or 2. Obviously 5 grading means the writing is top class and acceptable. 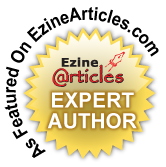 I have written 10 articles and most of them are rated 5 or 4. One article which was rated 3 was sold a few days back for 4.14$. There is no fear of suspension. So, all I have to do is to submit original content consistently and when the content is sold I will get the money, according to its rating. To aspiring online writers I strongly recommend WLE, to make your writing skills pay you a part time income in USD.